The National Sheep Association welcomed the changes as ‘a major step forward’. Mobile sheep dippers have been granted exemption from the need to be fully permitted and charged to store spent dip on site. The move, announced by the Environment Agency (EA) following backlash over its new licensing and permitting charges introduced in the Spring, removed the expense of having to license a premises for storage and instead introduced the option to temporarily store waste dip at a place controlled by the producer of the waste, pending collection or disposal. It will mean contract dippers will be able to bring spent dip back to their operating sites. Phil Stocker, chief executive of the National Sheep Association, welcomed the changes as ‘a major step forward’. He said: “This issue is one we have been fighting for a while and it has taken until now to get a meeting [with Defra and the EA] in place. “We took the opportunity to ensure that our Defra colleagues and EA understand what makes our industry tick – there is no use rules and regulations being put in place without this understanding and in my view, we made some real progress here. and that no waste dip is stored for longer than three months. 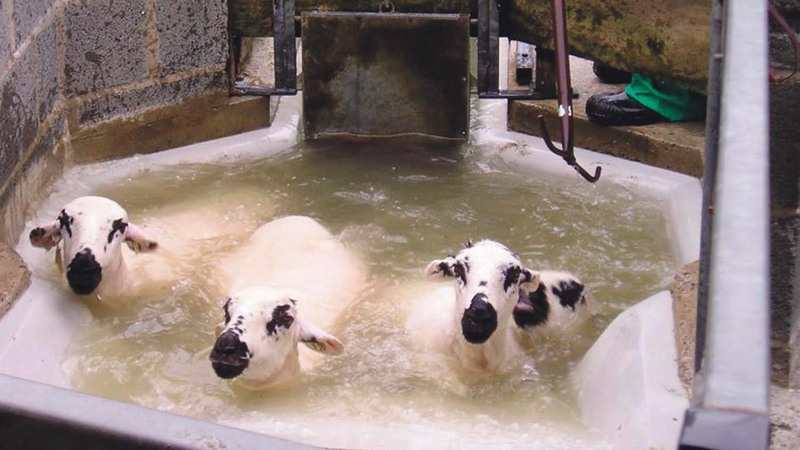 The EA has also agreed to do a ‘light touch review’ of the controls around sheep dip disposal later in the year.